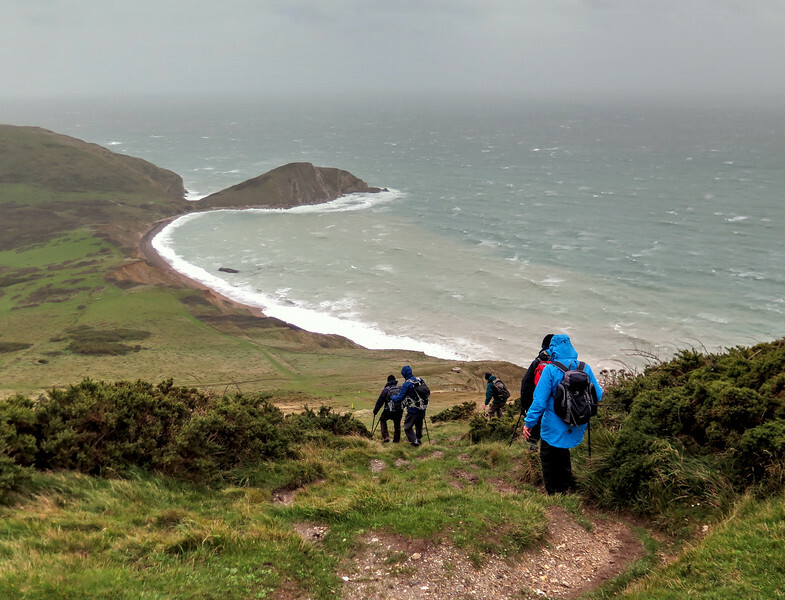 On the day that storm Clogagh struck the British Isles eight hardy souls walked Keith and Jan's 10.2 mile walk from Povington Hill Car Park in the Purbeck Hills in Dorset. 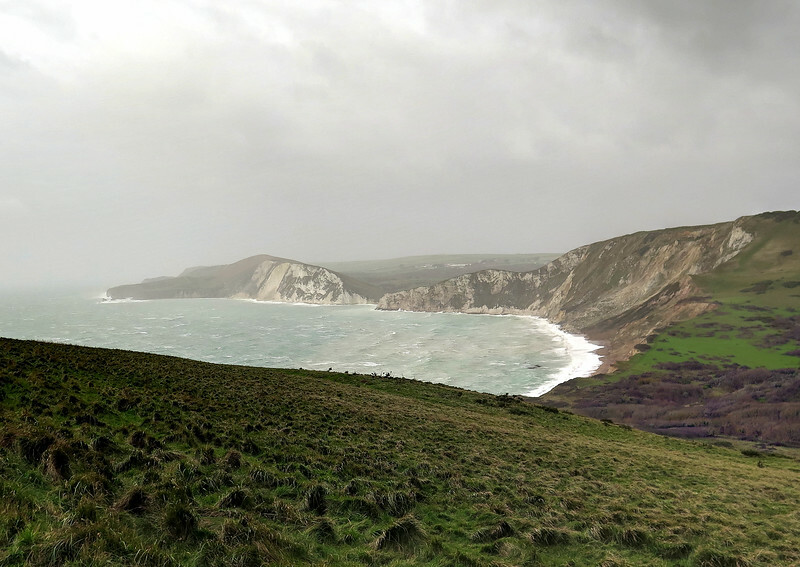 There was no rain but the weather was stormy with extremely high winds, especially on exposed headlands and cliff tops. The temperature was mild due to the Southerly direction of the airflow. 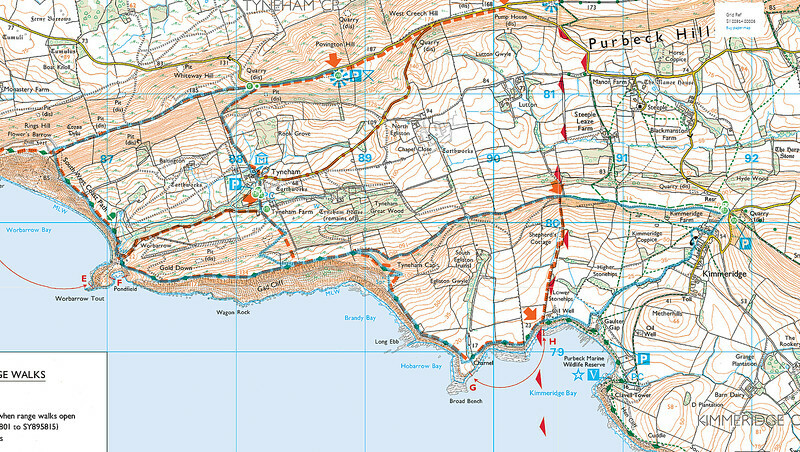 The route actually walked can be seen on the map in blue - the Western circuit was done anticlockwise and the one to the East was walked clockwise. 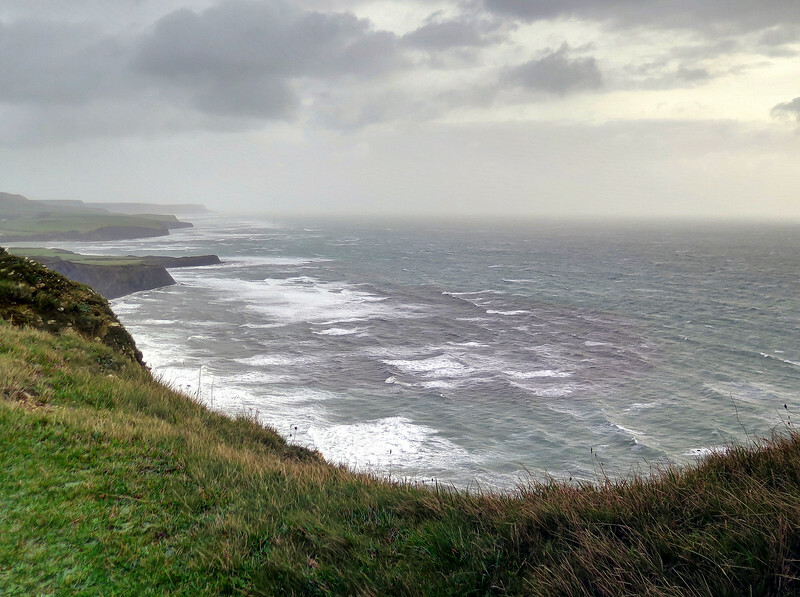 A look back at Warbarrow Bay. 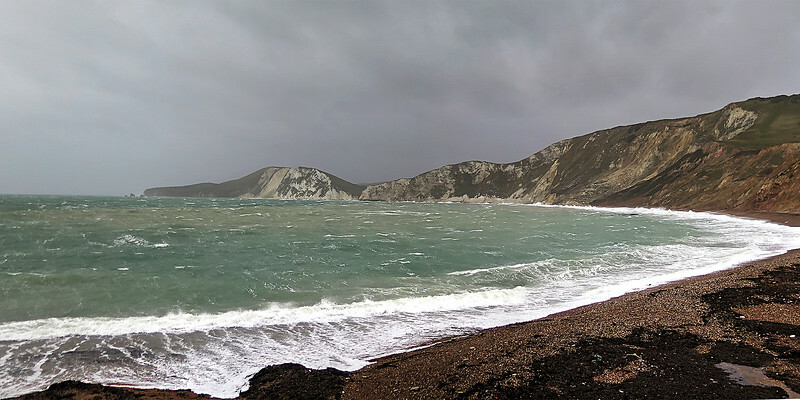 The headlands of the Purbeck hills being buffeted by the waves. 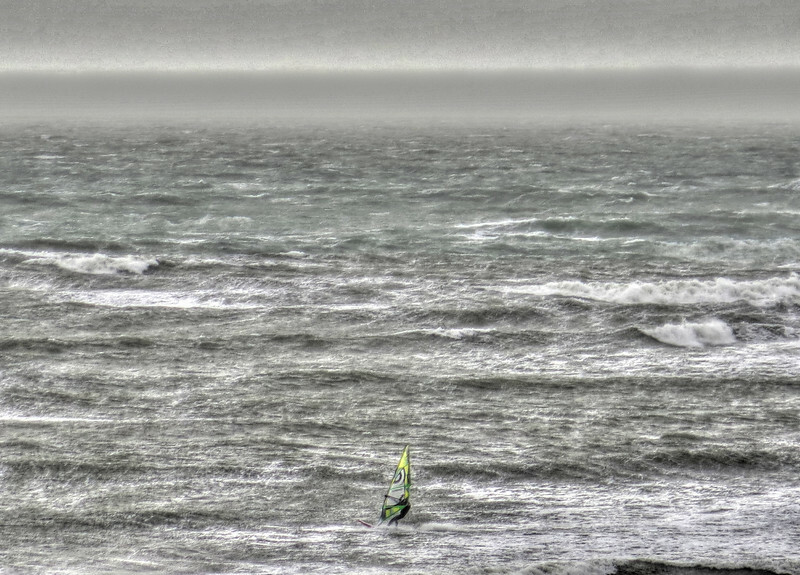 At Kimmeridge some hardy wind surfers take advantage of the wind. 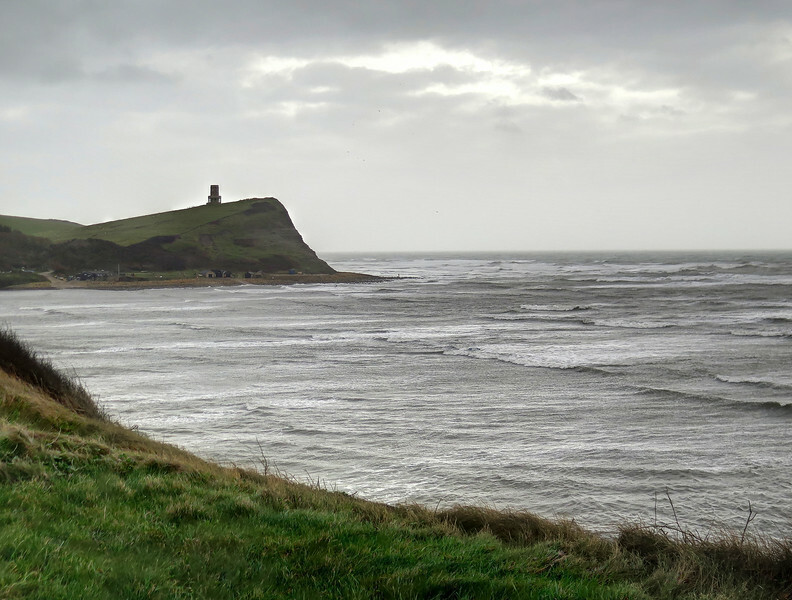 Kimmeridge and the Clavell Tower. 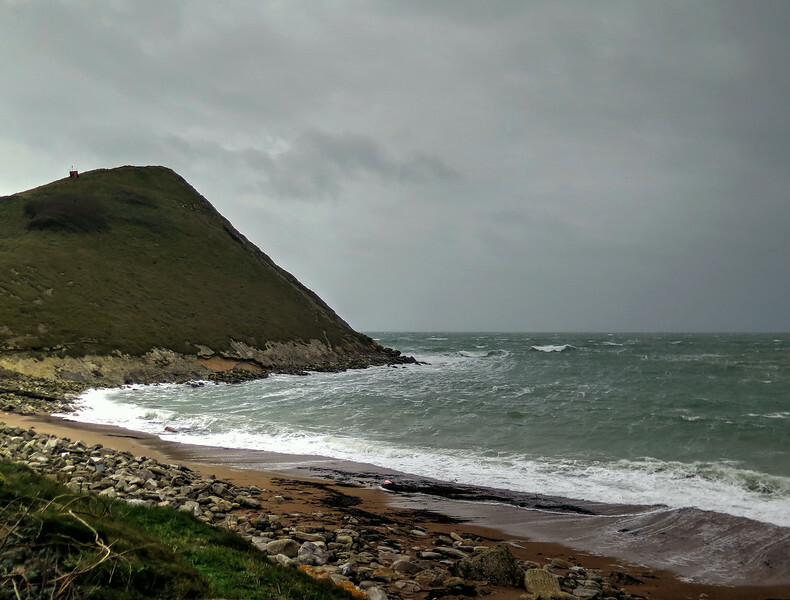 If you look closely you can see that Sir Antony Gormley's "Land" statue has been re-erected at the base on the headland. This weather will be a good test of the strength of the new fixings.